Before the TECO protest, the group stopped at IKEA in Ybor City, but was asked to leave by security before the buses were emptied. 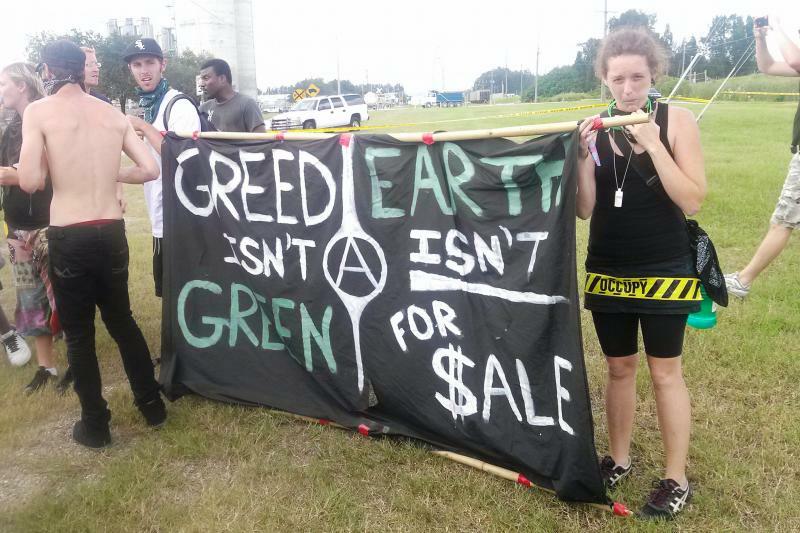 Officials from environmental group "Earth First!" say the action was designed to bring attention to what they call corporate influence in politics and the ecological impacts of fossil fuel dependency. While law enforcement worked to free the group, over 100 other protesters kept a close eye on the proceedings. Negotiations between the two sides resulted in the six not being charged, as long as the rest of the protestors quickly left, which they did. 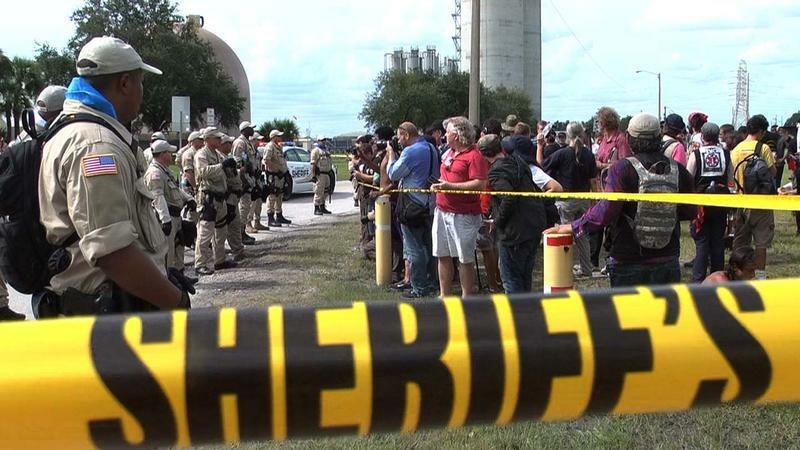 Hillsborough County Sheriff David Gee said cooler heads prevailed on all sides. "We didn't have property damage, we had no one assaulted, had those things happened, this would have ended a little differently with people in custody, but in fact, those things have not happened, I think everybody, their points been made and they've been able to have their protest and hopefully move on and not end up in jail tonight." An anti-Mitt Romney rally took place later Thursday night at Lykes Gaslight Square Park before protesters marched through the streets of downtown Tampa for a few hours. No arrests were reported there either.